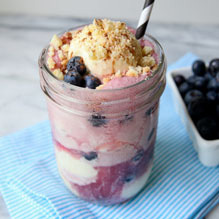 In a serving glass, alternate layers of ice cream and blueberries. Pour soda into the glass until it reaches the top and ice cream is floating. Top with crumbled sugar cookie and a dash of cinnamon. Sip and smile! Floating Peach Cobbler: Follow Floating Blueberry Cobbler recipe, but substitute sliced peaches and peach-flavored soda (such as Izze Sparkling Peach) for blueberries and blueberry-flavored soda. 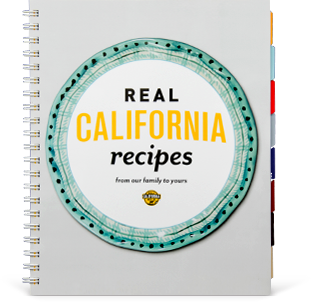 Floating Blackberry Cobbler: Follow Floating Blueberry Cobbler recipe, but substitute blackberries and blackberry-flavored soda (such as Izze Sparkling Blackberry) for blueberries and blueberry-flavored soda.